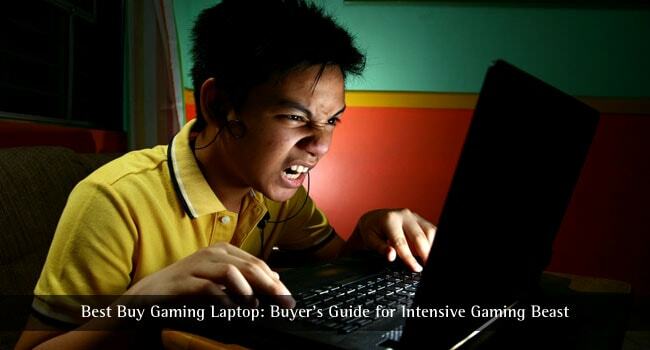 Those who love gaming invest hours to find the range of best gaming laptops for them. Assembling a gaming laptop doesn’t prove to be that much satisfying than the ones that are specially designed for gaming purpose. The gross visual and sound effect while playing with master blast graphics performance is surely a desire for every gaming lover. Thankfully there are many such gaming laptops out now in the market. But when it comes to buying a laptop there is a total chaos in selecting the best gaming laptops. Well not to worry as you have just hooked in the right place that will meet your search for affordable gaming laptops. With all the introduction of new graphics technology and great storage space here are the laptops that fit perfectly in the box of best laptop brands for gaming. Read below to find them out and explore new gaming level with theses gaming beasts. The laptops below are the list of best gaming laptops that are incredibly good in quality built with the latest technology and high-end graphics card. The era of NVIDIA graphics processor has brought a new revolution in the sphere of gaming. So, check below these good gaming laptops that will not make a hole in your pocket as they are affordable gaming laptops. While they say gaming won’t run rich on a 15 inches gaming rig, Lenovo Y700 IdeaPad has not played a stingy role in its performance level at all. It looks nice to boot and the price is also worth it. This stands in the list of high-end gaming laptops. It consists all the modern gaming hallmarks and is ready for the gaming battle. 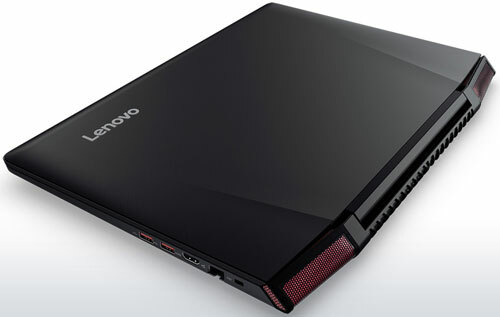 The laptop is also designed well keeping in mind about the comfort of the gamers. The space for resting are covered in soft rubber texture and doesn’t feel cold when you keep your hand for typing or playing. With latest Skyline Processor from Intel, Origin EON has simply introduced a new refreshed version of the gaming laptop. Coming to the design, the Origin EON15-X is made with company’s reserved style look that a step ahead. The rubber textured top with some angular lines that has a silver logo of Origin hooked in the center of the cover. The set is much more functional with indicator lights of hard drive functions. The rear vents on this laptop are also bit more matured with the solid metal fins that add an extra protection to the laptop. The front line edge of the laptop streams a small strip of light that can be customized into any color. Another interesting fact with this laptop is its keyboard light can also be customized. So, now change your keyboard into a dance floor while playing with your fingers on it. 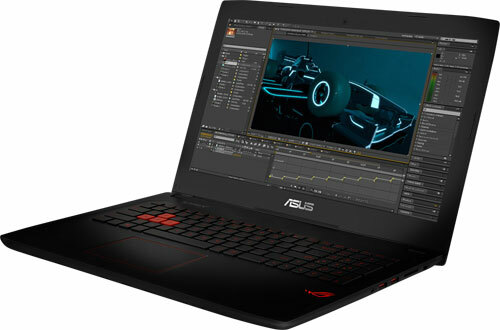 With its amazingly vibrant quality screen and a battery life that is middling this gaming laptop from Asus simply rocks. Though it may not have most creative designs but it will dissatisfy from the aspect of quality product. The display quality and the on board sound system will make up all the other few drawbacks. This Asus ROG Strix GL502 laptop strikes a perfect balance between power and portability. Here are what it has in store. This laptop with a minimum weight makes it portable and with it NVIDIA GTX series graphics surely it can be a good gaming laptop. The 1080 p resolution gives a quality visual experience and an 8GB video memory makes game run smooth. Breaking the regular vies with black and red Asus this time brings an orange accent radiating from the black cover. Though the backlight of the keyboard is still red, there has been no change in it. From the other series of ROG this ROG Strix stands out from the rest with its unique design. It is a close copy of a Mac Book Pro that will surely give the different enjoyable feel. The keyboard has a brushed finish and has an efficient cooling system, so enjoy hours on playing games. 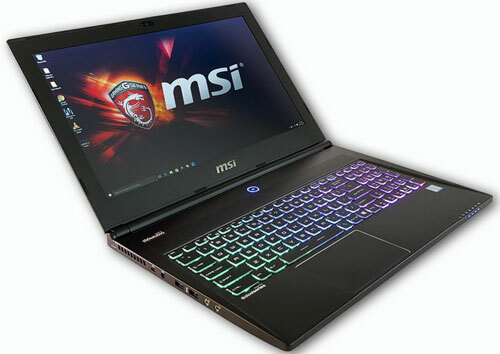 MSI is one of the long existing brands in the world of gaming laptops. Now it brings this stylish gaming laptop with high-performance skill keyboard and a featherweight body that’s bit expensive. Though they say there has been no compromise in the performance due to its thin look as the MSI Ghost Pro is one of the slimmest gaming laptops. The MSI brings this GS60 Ghost Pro gaming laptop with new updates. The processor from Intel’s Skylake is said to give a longer battery life, and its 14nm smaller transistors, which I sight the biggest improvement so far. Here what MSI GS60 Ghost Pro offers to its users? With this laptop, there is some integration of improvements in graphics and with its Skylake chip, it makes the Ghost Pro Laptop one of the good gaming laptops. 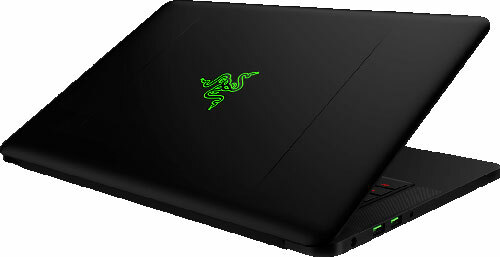 With the craze in looks of various gaming laptops, Razer has made slight with the Blade in this trend. It created amazing gaming laptop with a matched price tag. Its latest creation comes under the category of light- least broad laptops. The new blade has gone under some visual changes as well including inner changes with more video memory. Here are the features. The Razer Blade now has the coolest gaming keyboard compared to rest. It introduced a “Chroma light system” for its keyboard that broke past the MSI and Alienware laptop keyboards. 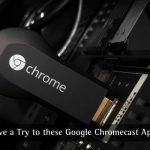 The Blade has been loaded with similar software that Chroma desktop uses and its keyboard can now display individually lit keys displaying any of 16.8 million colors. With its installed software you can assign any color uniquely to each key. Now enjoy stronger and deeper gaming experience, with this all new gaming laptop from Razer Blade. This Origin EON17 with a desktop-grade power is the ultimate gaming laptop. If you are looking for an extreme gaming laptop then nothing could prove better than this. With its unmatched unparallel features and visual quality, this gaming laptop is something else. They say any computer proves to be as good as the supporting team that stands behind it. With EON17-SLX every job is done neatly fully. Here are the features that make it so gripping. 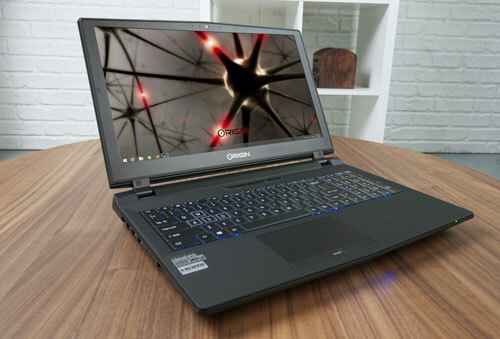 This Origin EON17-SLX laptop can be pretty much called as a portable gaming desktop. The NVIDIA GPU chip and the 1080 graphics processor will make any game run smoothly that you don’t need to worry about. If you are a hard-core gamer then this laptop will not let you down for sure. The visual effects are simply stunning. In short, you will be obsessed with it. It’s one of the best gaming laptops. MSI has always been a popular and leading name in the world of gaming that we all know. This company has a series of high-quality gaming laptops and is also one of the Best Laptop Brands for Gaming. 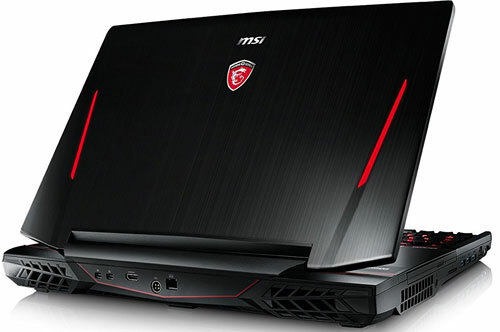 But with its latest creation of GT80 Titan, MSI raised the heat in the race of gaming laptop. This MSI GT80 has gone beyond to give its users a mind blowing desktop gaming experience. The Titan simply and perfectly looks nothing less than a gaming machine. This laptop is something that surely stands out of the crowd. So, let’s what makes it so? This is a notebook whose unique design will make you feel like you are playing game on a desktop. The in-built mechanical keyboard with its high performance is something to compliment. This laptop weighs almost 10 pounds and it approx 2 inches thick body is seriously challenging something what you call portable. With its top class GPUs and the power of GTX can unbelievably surprise you in your gaming experience with this laptop. 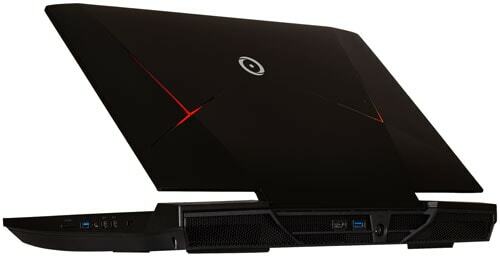 Alienware has now introduced a slimmed down new version of its 17 inches gaming laptop. This laptop is noticeably thinner with only 1.35 inches than other gaming rigs from this company. But dare to think that its performance gone down due to its modification into a thinner body. Now let us take a look at what Alienware has introduced in this new version. Alienware 17 is among those rare few appallingly gaming laptop that’s truly worth it. This notebook is capable of gaming machine totally on its own. Moreover with its added power through the GPU amplifier, to its desktop graphics, you can now enjoy every game on it. The Ultra settings of the GPU lets you play almost any game. These are all incredibly good gaming laptops from various quality brands. They are a quality product from renowned laptop companies that produce high-end electronic gadgets. These affordable gaming laptops will change your gaming experience and you will enjoy unlimited fun in gaming. The master visual effect and with latest graphics these all are simply the best gaming laptops that you could possibly have. If you are a gaming buff and want the best laptop brands for gaming then these series of good gaming laptops are worth having. The details are given that will help you to choose as per your preference. So take your pick and simply have a different level of perception in the world of gaming with this range of super quality best gaming laptops. Great Article !! The best part of the technology is, it keeps evolving. Nowadays gaming laptops are getting VR ready with best cooling system ever. HP, Asus, MSI are the best in this field. VR ready, with GTX1080, Booster cooling and 120ms screen, can get you run any Game smoothly.